Another December is upon us. Amid the varied and abundant traditions of the holiday season, my family celebrates winter festivities with undeniably Hellenic flair. For as long as I can recall, we have hosted Christmas dinner at home. Growing up, when my parents were still together, the days leading up to Christmas were often intense. My Greek-immigrant father inevitably became moody, to say the least, in response to the rampant commercialization of the holiday, and often decried the Capitalist machine before decrying everything else. Twelve days of Christmas? We had twelve days of walking on egg shells… or, better yet, tiptoeing over phyllo dough. Crackle-crunch. Good times! Opa! 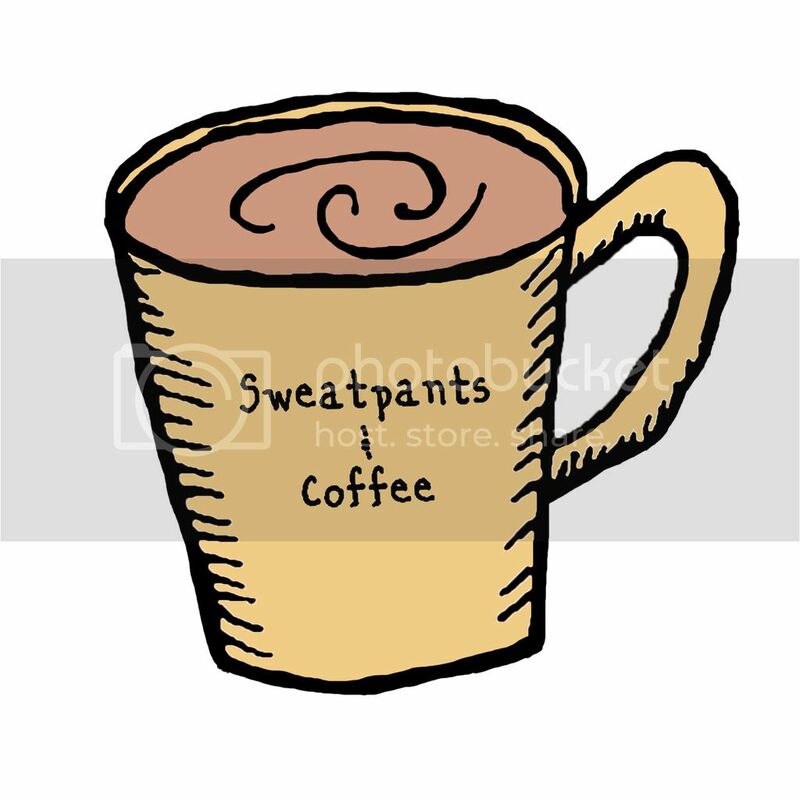 But, alas, when the big day rolled around, things were, for the most part, okay again. Laughter and cheer abide as we opened our gifts, then opened our house to family and friends, everyone gathering to enjoy Christmas with a Greek twist. Alongside the holiday turkey we savored village salad abundant with feta cheese and Kalamata olives; Greek-style roast potatoes heavy on the lemon, garlic, and oregano; flaky, buttery, tiropita, and stuffing made from a recipe passed down via my maternal grandfather who hailed from Mytilene. It calls for chestnuts, figs, olives, bulgur wheat, Greek brandy, and other select ingredients that make for a savory/sweet delight. These days, Dad sends sugary shipments of kourabiedes and melomakarona from Greece, and Mom travels up to Oakland from Monterey to again claim her rightful place in the family home as Christmas preparations commence. In Greece, it is customary to decorate replica sailboats with ornaments and lights, such tradition rooted in the Greeks’ history as a seafaring people, though nowadays it’s just as common to see trees in Hellenic homes, and in such regard, we leaned toward the American side of custom. Christmas is generally a time of heightened electric bills. In my house, we have both lights and phone calls to blame. There are motherland check-ins to be had in which we swap news from America for the latest buzz from the village. 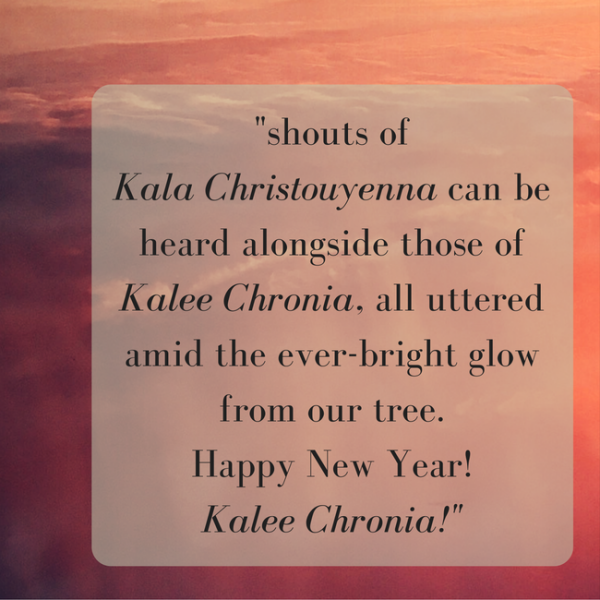 You can hear shouts of Kala Christouyenna alongside those of Kalee Chronia, all lit by ever-bright glow from our tree. Happy New Year! Kalee Chronia! In my memory of New Years past, we sit around my grandmother’s table, at the center of which is a simple, round cake unadorned with frosting or candles. Still, the moment invites anticipation as my yiayia hovers over the modest loaf with a knife, her hand making the sign of the cross—straight down, then right to left—before conducting the first cut. Four of us are present—Mom, Dad, Yiayia, and I—though she divides the cake, the Vasilopita, into several slices. The first is for Jesus, the second for Mary, the third for St. Basil after whom the cake is named, the fourth is for the house, the fifth for the poor, and the rest goes to those of us at the table from youngest to oldest. We carefully dig into our special dessert. Something shimmers within the cake wedged on my fork. I discover the lucky coin, wrapped in gold foil, and hoist it high for all to see. Another year of good fortune for me! 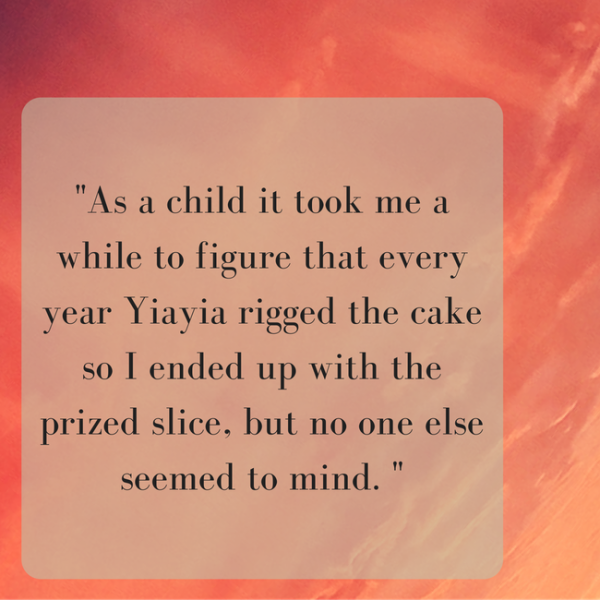 As a child, it took me a while to figure that every year Yiayia rigged the cake, so I ended up with the prized slice, but no one else seemed to mind. As my Greek readers will know, the cutting of the Vasilopita cake is a tradition often occurring on New Years Day, though it can also be done later in the month. It’s similar to the Mardi Gras King Cake of New Orleans fame in which a tiny plastic baby is substituted for the gold coin. The Vasilopita commemorates St. Basil who, according to legend, redistributed the gold and jewelry of Caesarean citizens who ransomed their goods to prevent the raiding of their city by a foreign tyrant. This year marks the tenth since my maternal grandmother’s passing. Due to her upholding of the Vasilopita tradition, I keep a special place in my heart for her each New Year’s Day. In one way or another, we all make our own luck, whether literally, through baking it into pastry, or figuratively, in the way we chose to approach and interpret the often random occurrences in our lives. May this holiday season be a happy and lucky one for you! Here’s to 2017 bringing all the best things! Oakland native Apollo Papafrangou is a graduate of the Mills College Creative Writing MFA program, and his debut novel Wings of Wax is available now from Olive Leaf Editions. His fiction has appeared in ZYZZYVA Magazine; Sparkle &amp; Blink, and the Simon & Schuster anthology Trapped, among other publications.